Integrating WeChat Official Account to Freshdesk will let the conversation in the WeChat to become ticket(s) in Freshdesk. Agents can reply to the WeChat user directly from Freshdesk. 1. 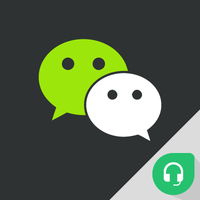 Create a ticket when a new conversation started from the WeChat user. 2. 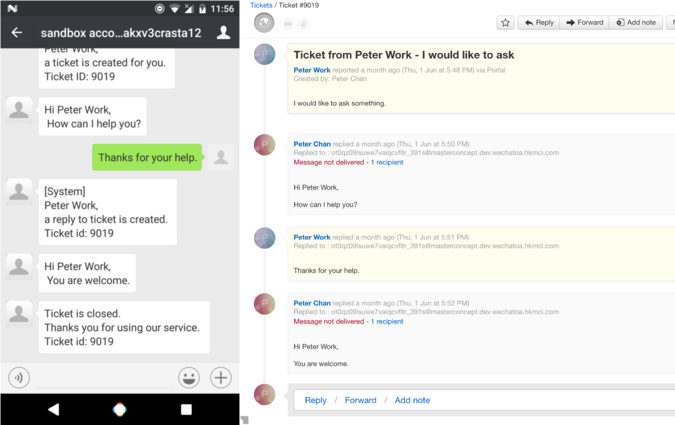 Agents reply to the WeChat user by replying to the ticket. 3. WeChat user reply to the ticket by continue the conversation in WeChat. 1. Please note that agents should reply the WeChat user within 48 hours as it is limited by WeChat. 1. Once the ticket is closed, the system would still open the another ticket when the WeChat user make a new message. After the app installation is completed, please go to the following link to configure the app. If you are a new user, please signup your domain first and follow the instruction. otherwise, you can visit this link again to update the configuration if any changes.